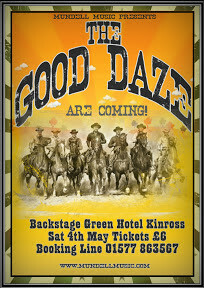 The Good Daze are coming Backstage on Saturday May 4th 2013. Come and support this young Band! Tickets available from The Green Hotel Kinross. 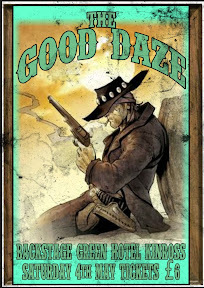 "The Good Daze are a young four piece Scottish rock band, gaining much popularity in and around the wee county, hoping to extend the buzz all over Scotland and Britain and eventually the universe. Banging basslines along with furiously funky beats topped with screaming guitar solo's and harmony's that will make your heart fall out of your mouth, (plus a nice wee acoustic set) this is the most addictive new sound, the tunes will be running round your mind for weeks or possibly till the end of time, guaranteed to leave you wanting more. THE GOOD DAZE ARE COMING!!"